Fire King is a collection close to Anchor’s tempered heart. During the Great Depression, Fire King was created at an affordable price for families that were struggling to cope with the economic downturn. It was often sold in bags of flour as a promotional item, or given away at gas stations. 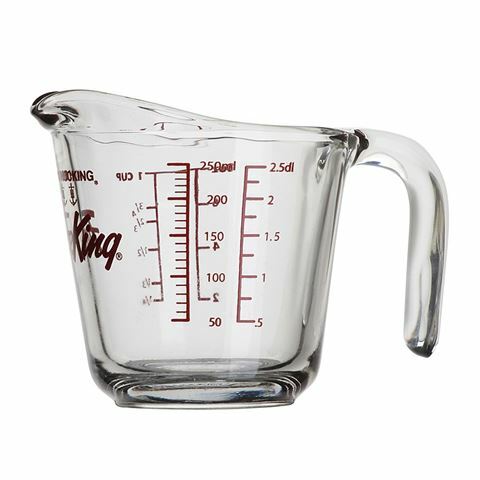 Nowadays however, Fire King is tougher than it used to be, and is designed especially for high-temperature baking. When it comes to the Anchor legacy, the crown belongs to Fire King. Measurement units in metric and imperial units.